At the opening of this documentary “Venus and Serena” Chris Rock tells us that the sisters are black. He goes further and says, “black black – like the people I know.” It had some to do with the actual color; moreso, it was about their unwillingness to blend in or tone it down. That fact frightened many as they began to win, thwarting the notion that only country club courts produced tennis stars. But there they were. Soon they reached #1 and #2 in the world as predicted by their parents. To think, their family actually believed that they could dominate the tennis world. Really not just the sport alone but the whole world. Not since minute one when they landed on national news publications with beaded, braided hair have we had to wonder what they would mean to the game. What filmmakers Maiken Baird and Michelle Major do brilliantly is let the sisters show us exactly what tennis means to them. 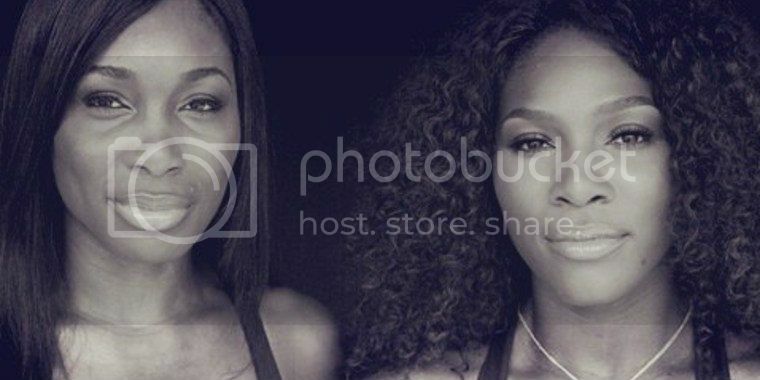 The year that the crew followed Venus and Serena, 2011, was perhaps the most tumultuous, painful andadverse of both of their careers. Fighting their way back to the top, the film captured the blood, sweat and tears – literally! The vivid scenes of both sisters dealing with their respective illnesses, in some cases life- threatening, and working their asses off to get back to Venus/Serena form had the audience wincing, tensing up and ultimately cheering. Nothing was off limits. Not the outbursts, not the obsessive diversions they chose to keep them from going absolutely crazy as they couldn’t be on the court and not even their insecurities. There were poignant moments and candid conversations with their parents, siblings and trainers about their home life and personality quirks. We get to learn more about their parents, even finding out a heinous event that happened to Richard Williams in Shreveport, Louisiana that added to his moxie and his craziness. You feel the love of their mother Oracene as she raises children and later grandchildren to be proud and strong. Former President Clinton weighs in as does tennis champion John McEnroe and the grand diva Vogue Editor-in-Chief Anna Wintour. The mere fact that politicians, comedians, and fashion icons all have something to say illustrate just how far past the courts their reach extends. The documentary takes watchers back through tough moments in their careers like Indian Wells and the death of their sister, letting the moments speak for themselves. No need for melodramatic songs or dramatic transitions, revealing the trained journalists’ experience. Viewers get to relive the highlights of tournament victories just as they were. Every major step is there from the concrete courts of Compton to the stands of Wimbledon ‘13. Following the screening of Venus and Serena, Director Michelle Major explained what they expected when they dreamed up the project and why it ultimately far exceeded all of that. It certainly did.